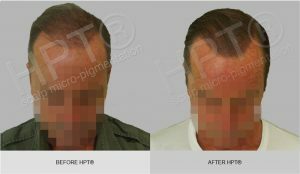 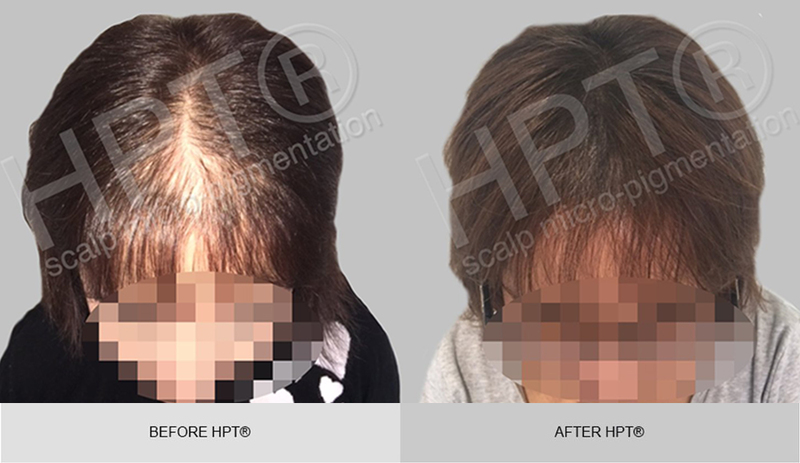 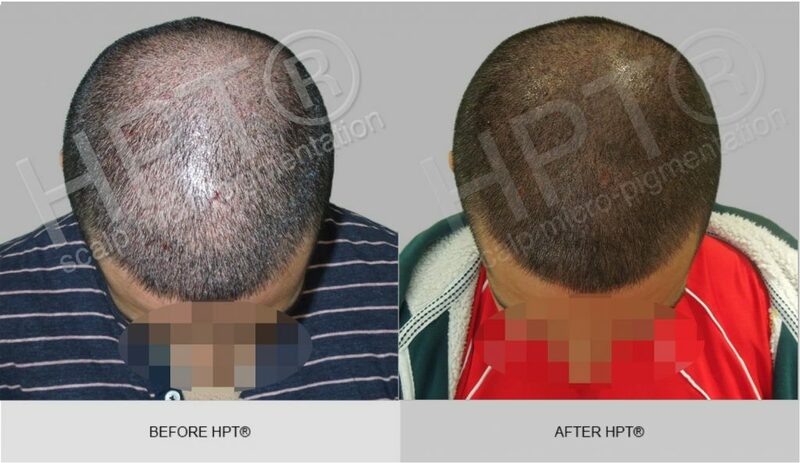 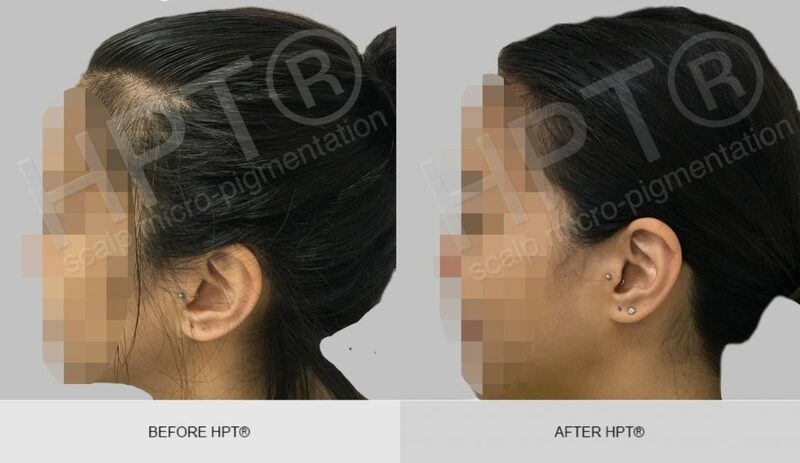 HPT® scalp micro-pigmentation by HAIR ink. HAIR ink. 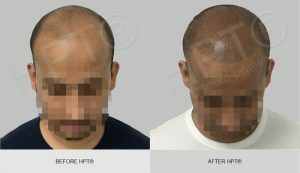 is the leading and longest established hair loss clinic based in Fitzrovia, central London, specialising in HPT® scalp micro-pigmentation. 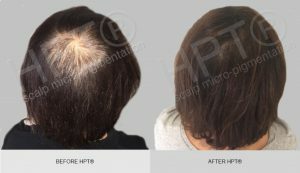 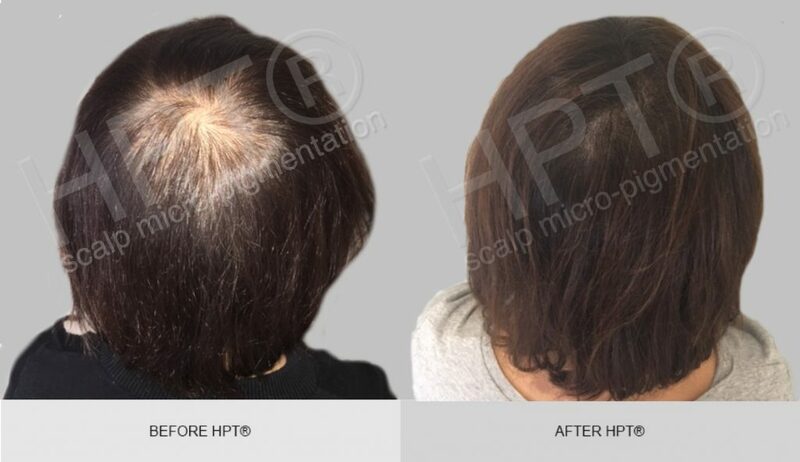 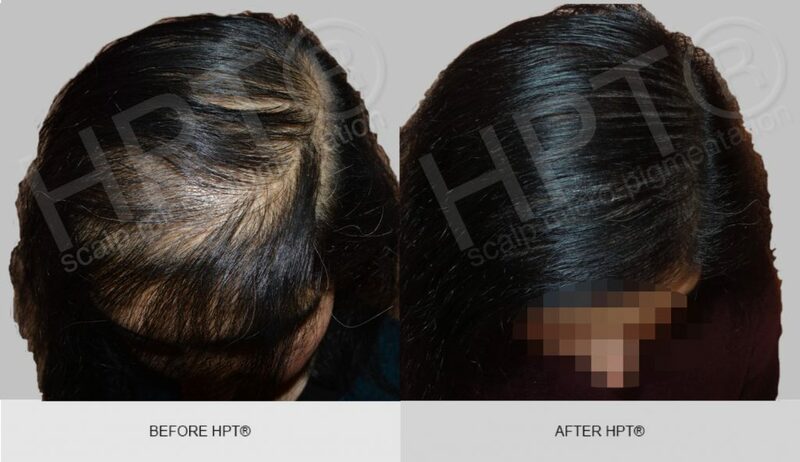 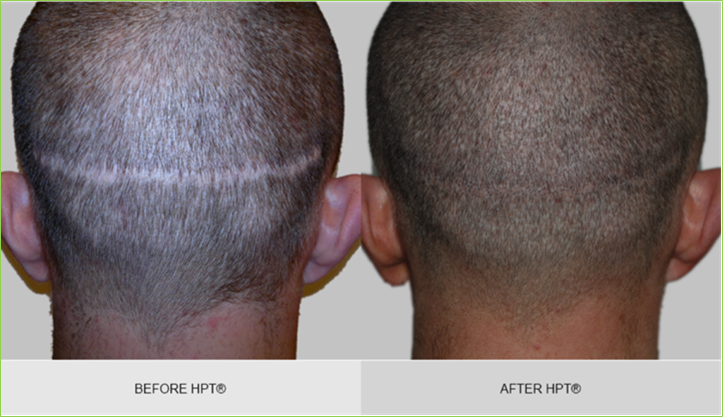 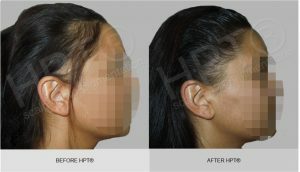 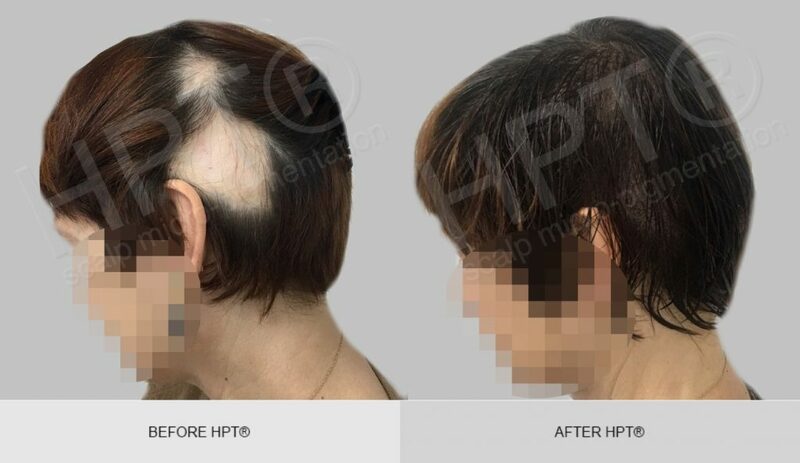 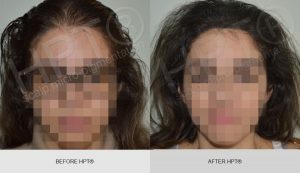 HPT® is a non-surgical and permanent hair loss solution that gives patients instant results. 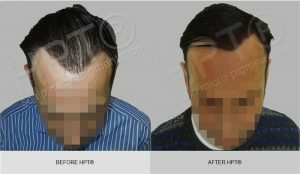 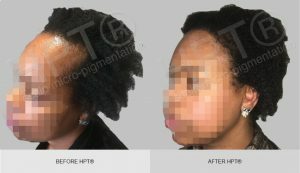 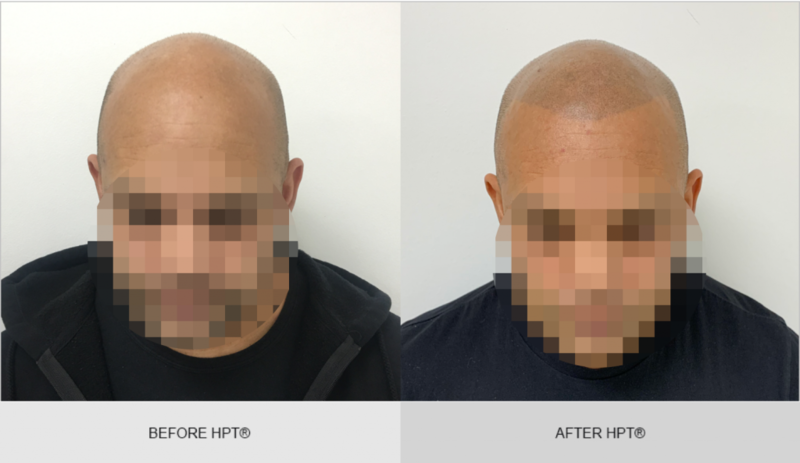 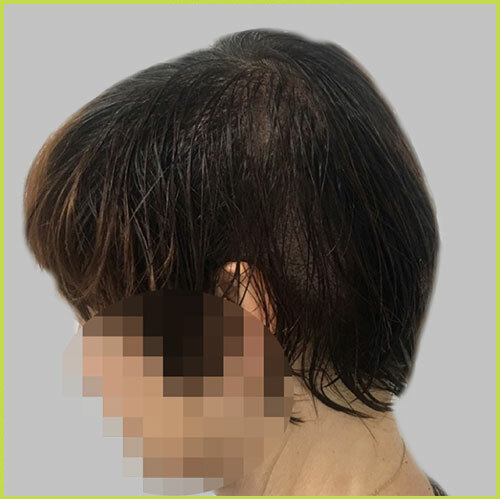 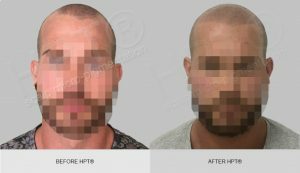 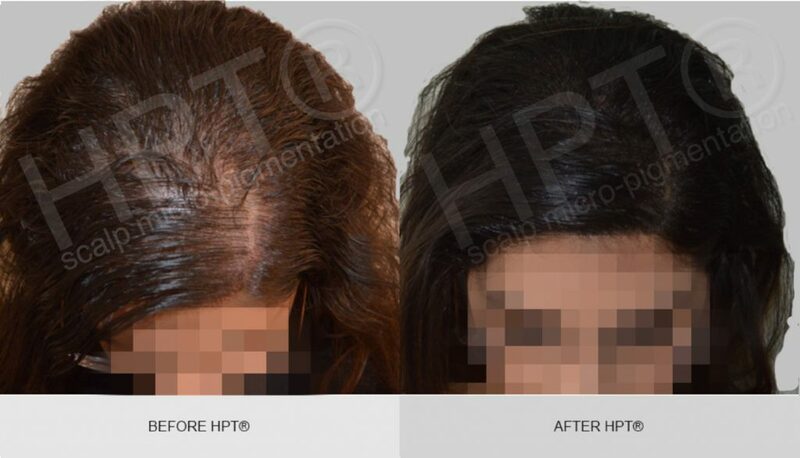 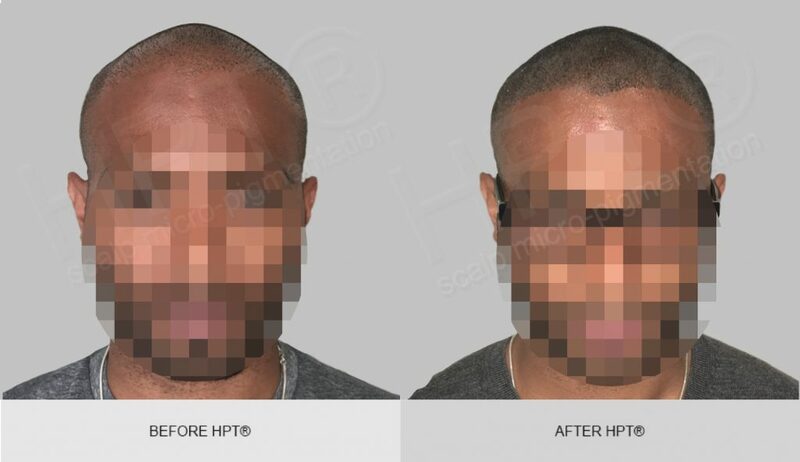 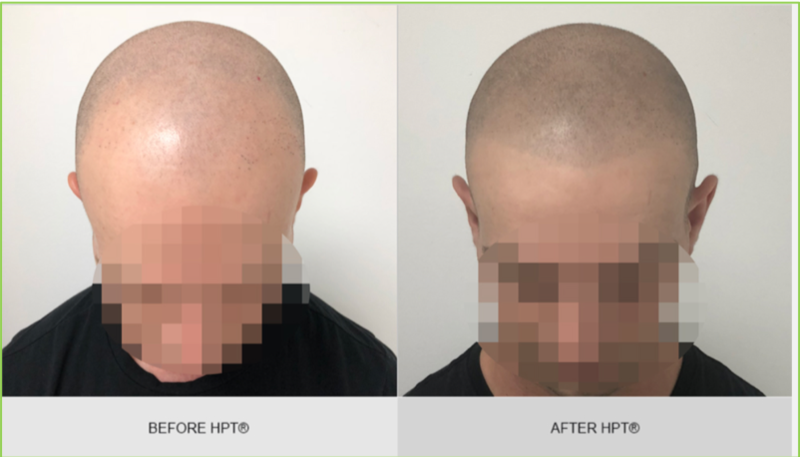 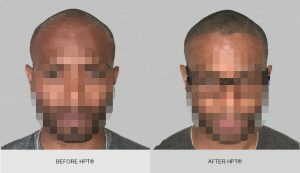 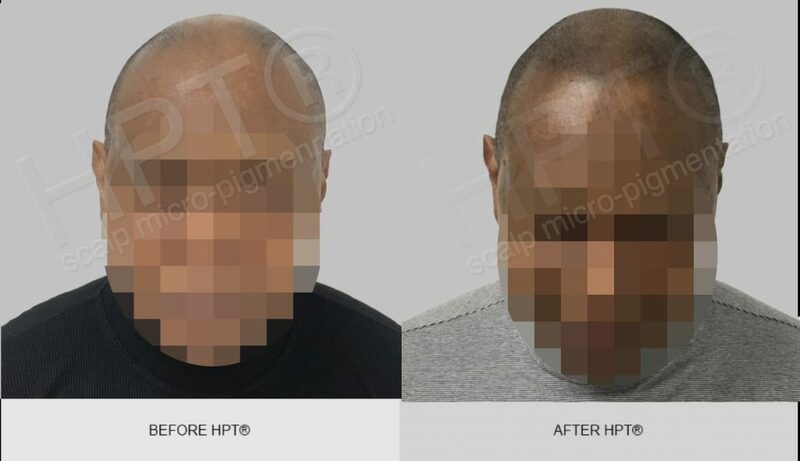 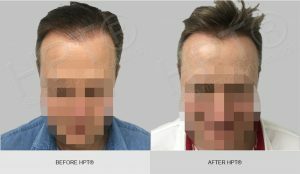 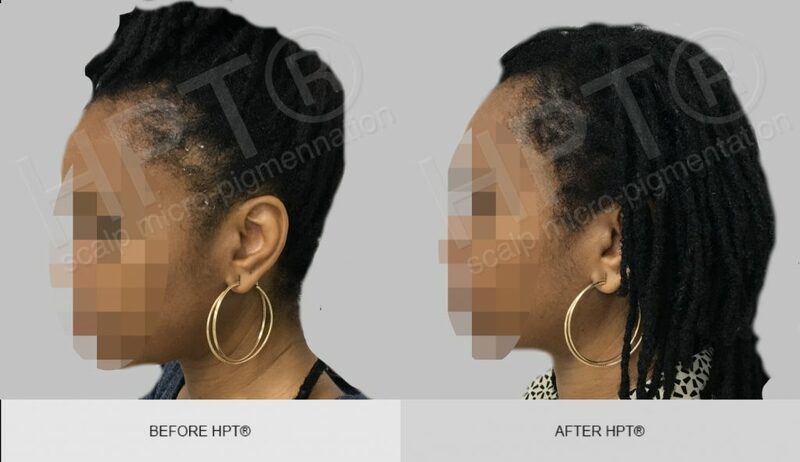 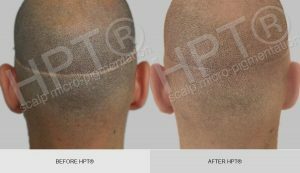 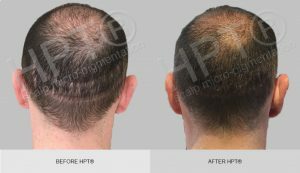 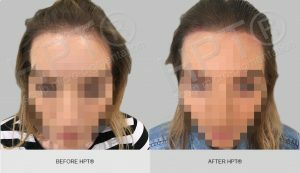 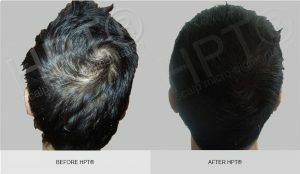 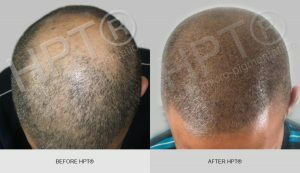 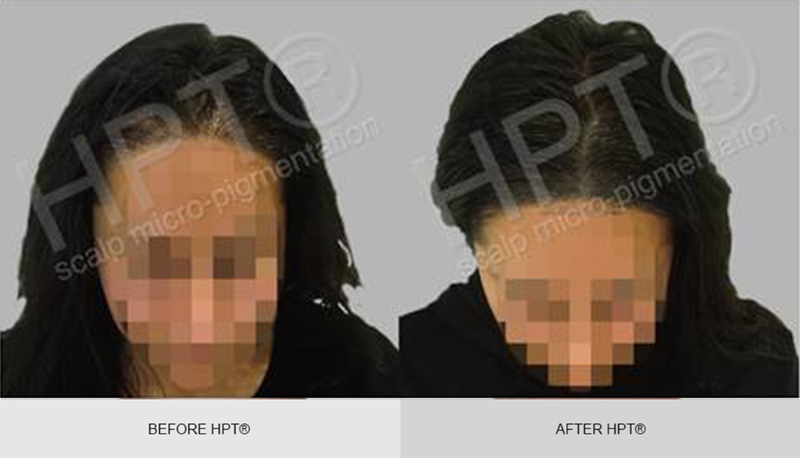 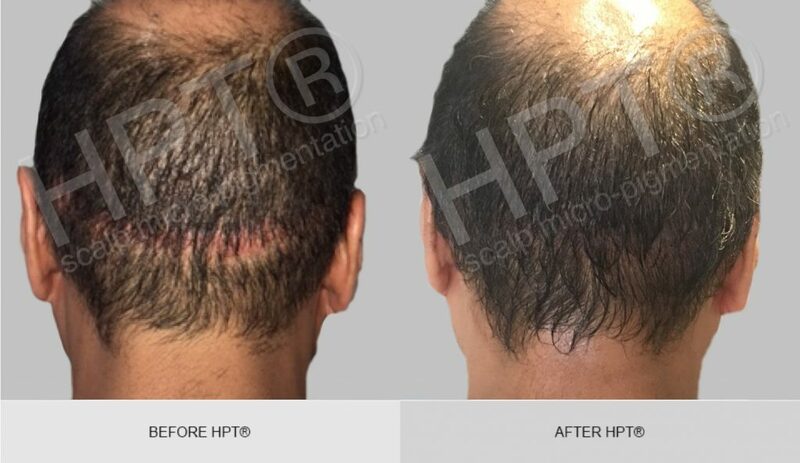 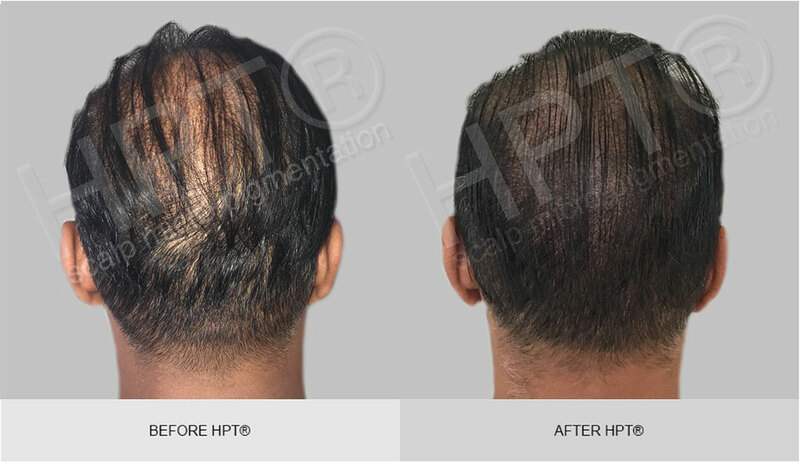 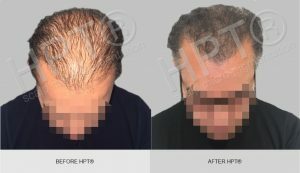 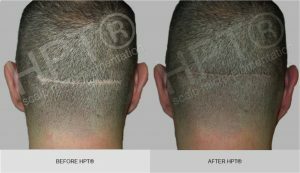 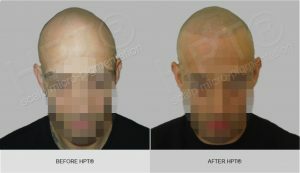 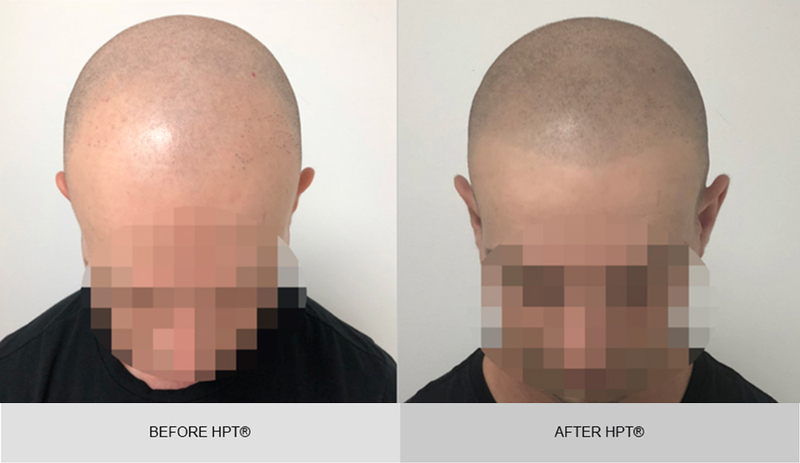 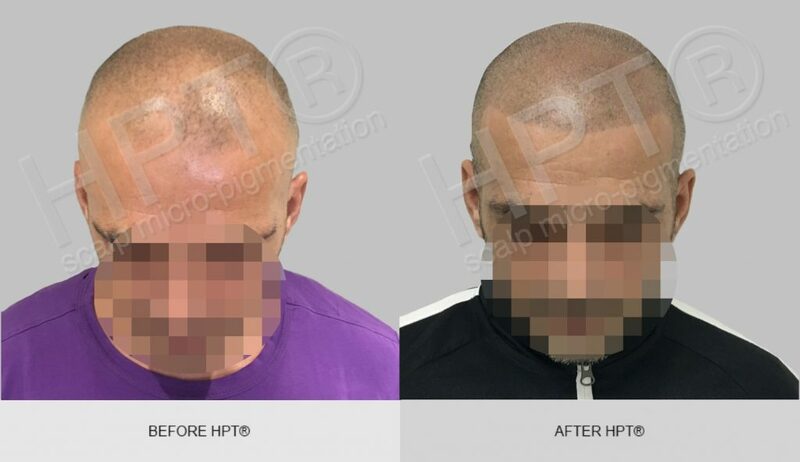 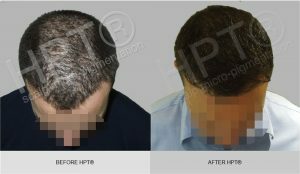 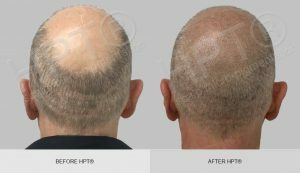 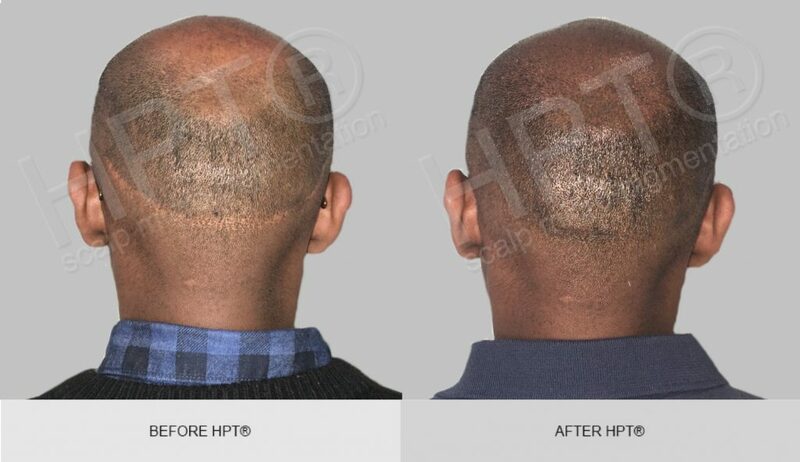 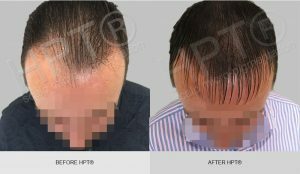 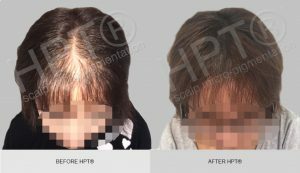 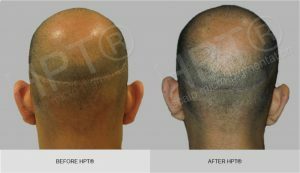 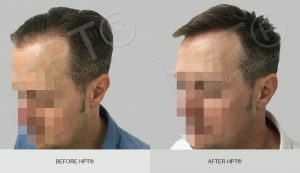 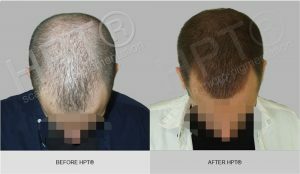 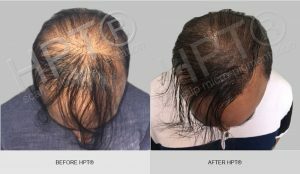 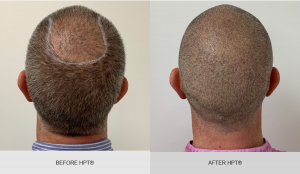 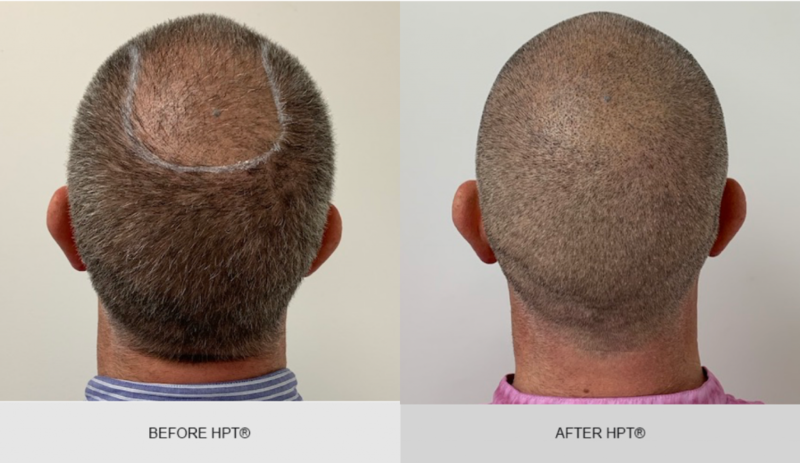 Allowing for a natural illusion of hair density at a shaven head level or with longer hair, HPT® is a very attractive solution for both men and women and suitable for patients from all ethnic backgrounds. 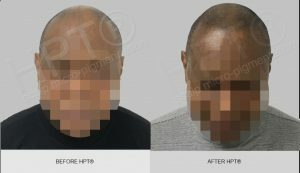 From your initial comprehensive consultation, using our unique CPD certified framework that promotes patient safety, throughout the treatment itself and aftercare service, our patients receive the very best care and treatment results through bespoke hair solutions tailored to their individual hair loss history and lifestyle needs. 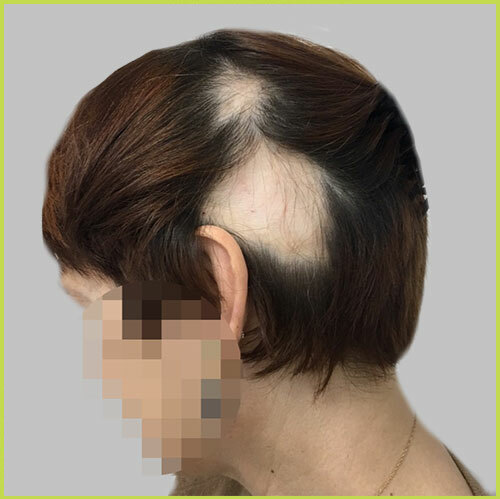 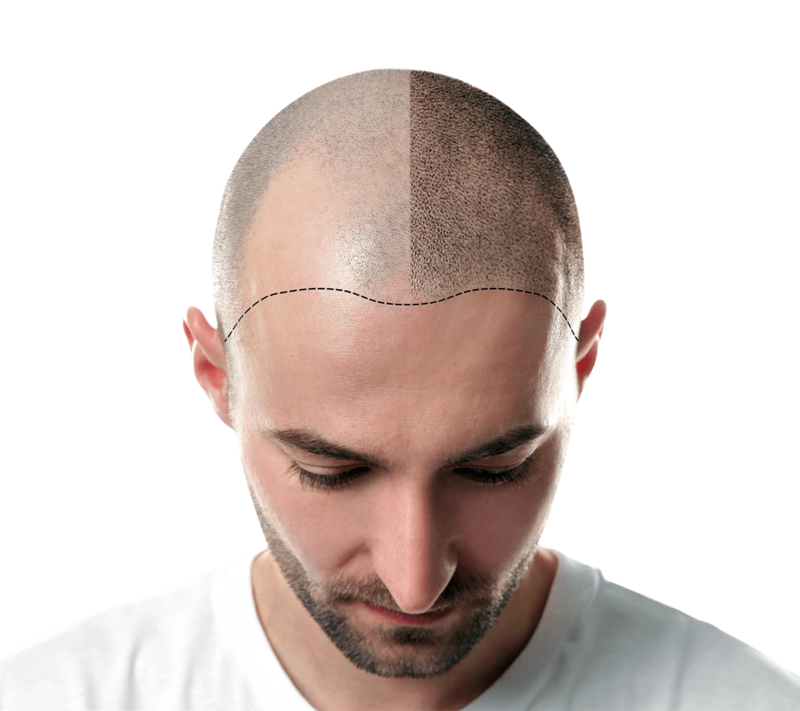 The cost of treatment will vary by patient depending on your level of hair loss and the area to be treated. 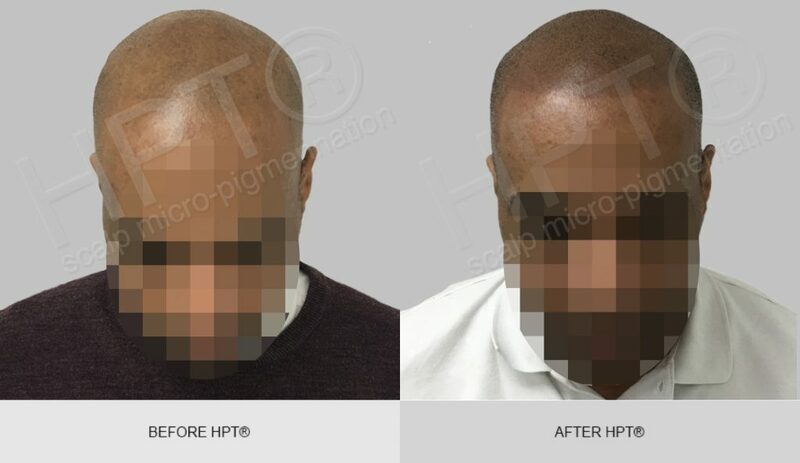 As a guide, HPT® scalp micro pigmentation treatments range from £750 to £3,500*. 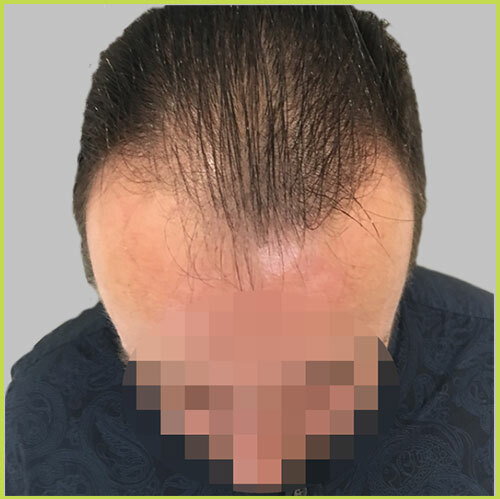 We would always prefer to talk to our potential patients first to get a better understanding of your hair loss history and your expectations of the treatment. 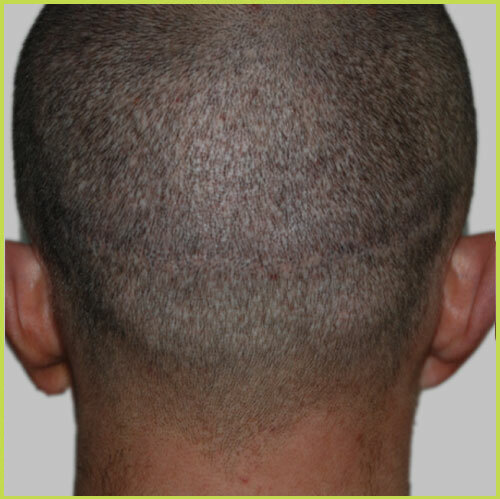 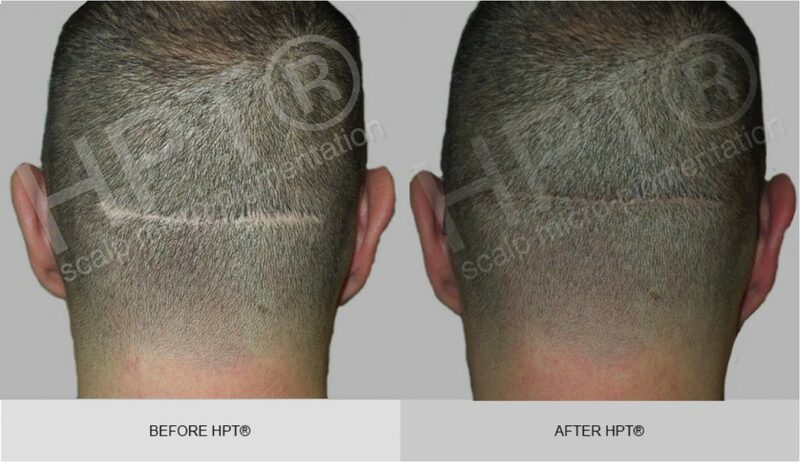 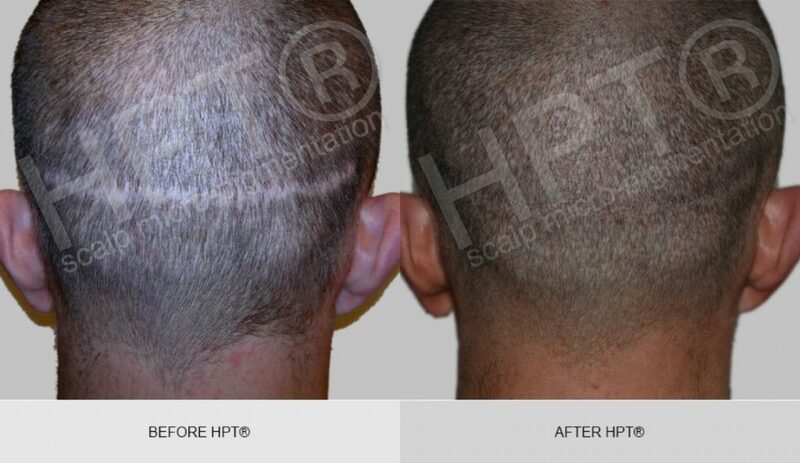 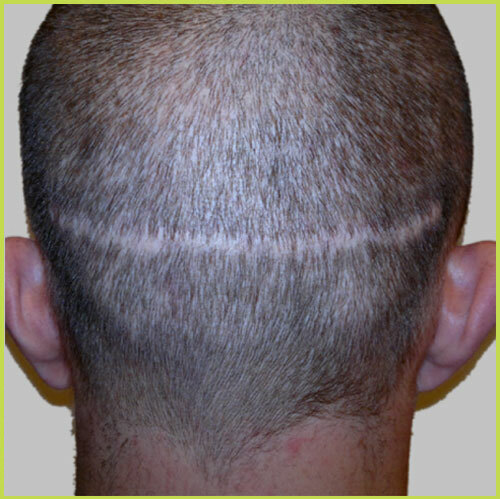 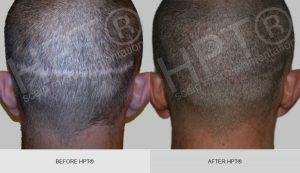 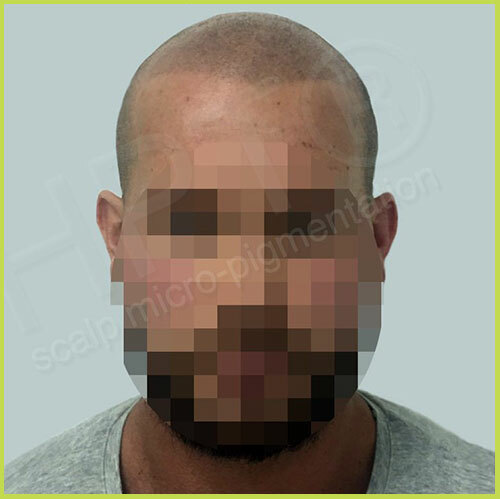 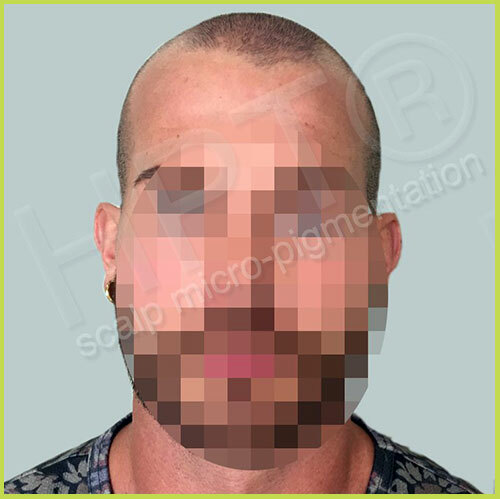 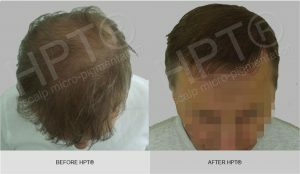 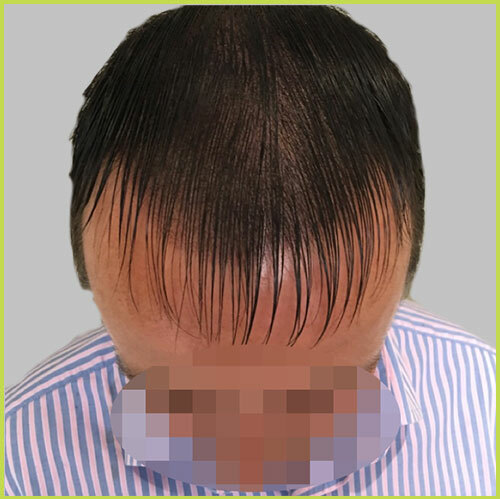 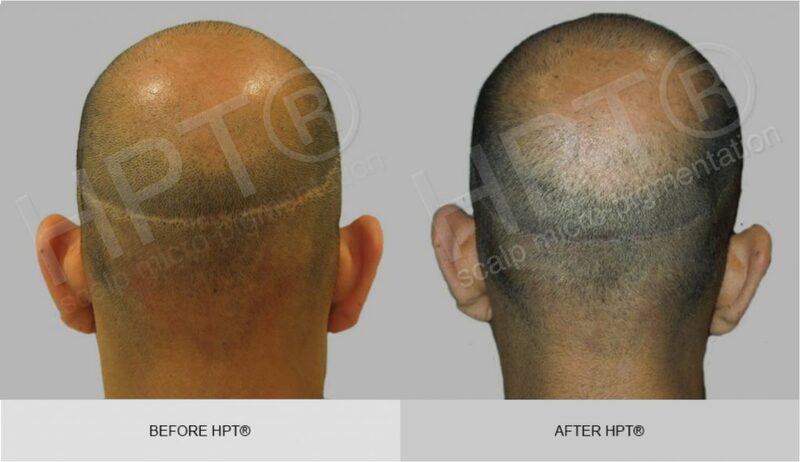 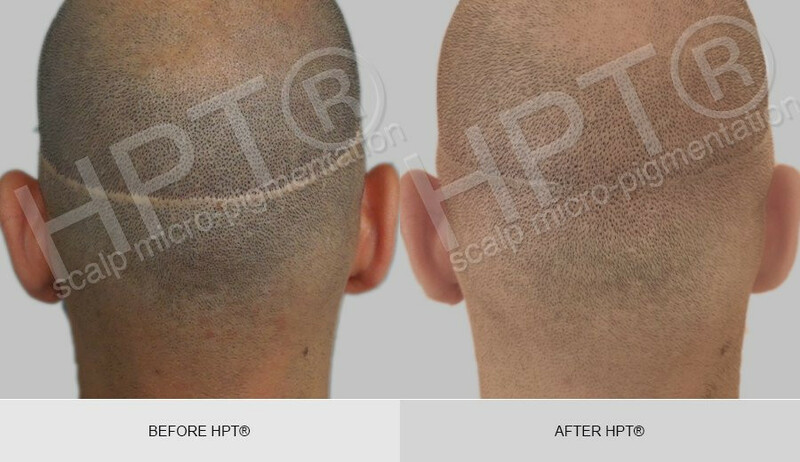 This way we are better placed to ascertain if HPT® scalp micro pigmentation is the right hair loss solution for you. 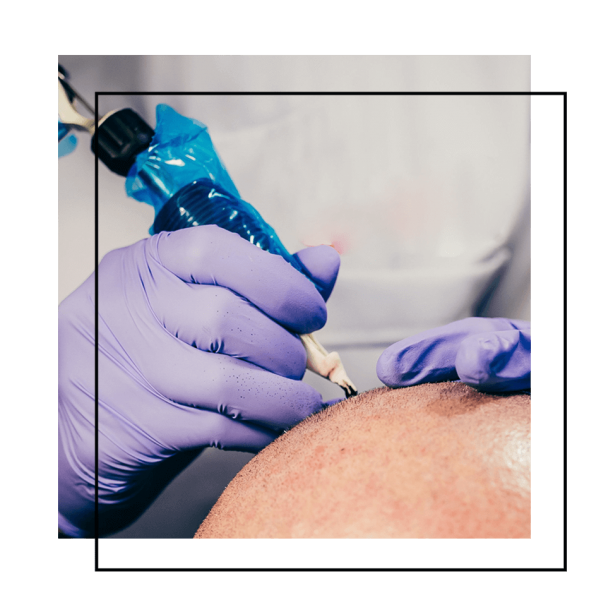 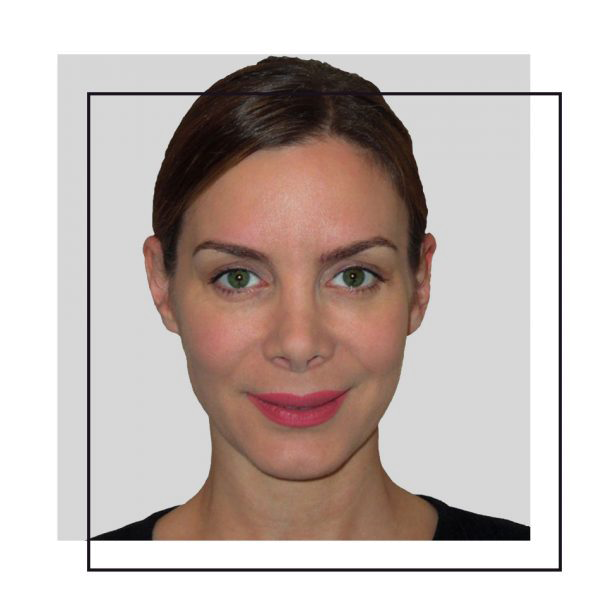 All consultations and treatments are carried out at our discreet and private central London clinic by leading industry micro pigmentation technical expert and globally accredited HPT® scalp micro-pigmentation trainer, Anouska Cassano.